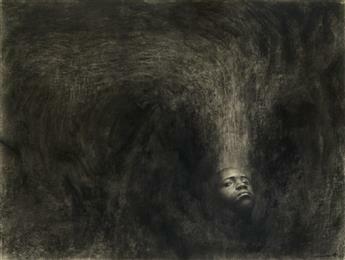 CHARLES WHITE (1918 - 1979) Nobody Knows My Name #1. 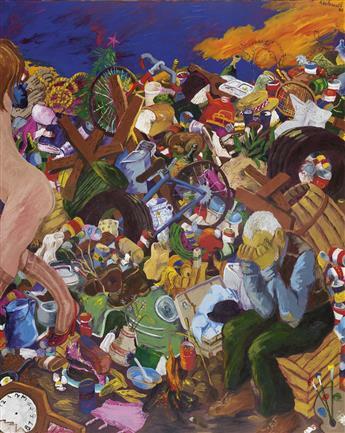 ROBERT COLESCOTT (1925 - 2009) Down in the Dumps: So Long Sweetheart. 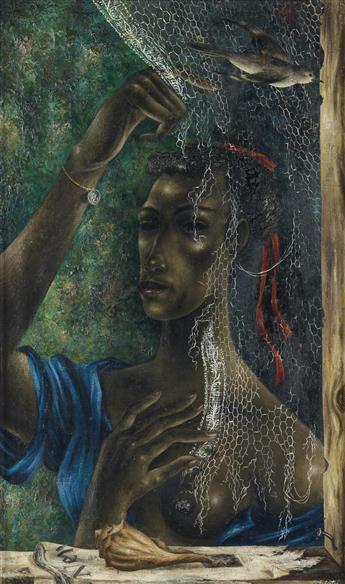 ELDZIER CORTOR (1916 - 2015) Sea of Time. 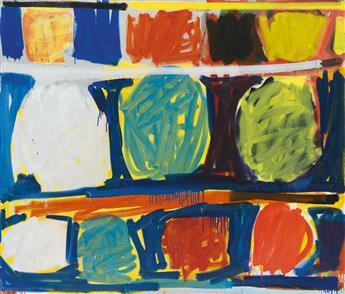 STANLEY WHITNEY (1946 - ) Radical Openness. 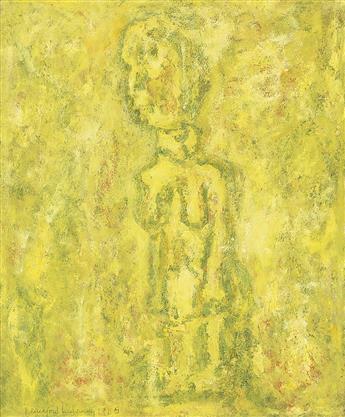 BEAUFORD DELANEY (1901 - 1979) Untitled (African Figure). 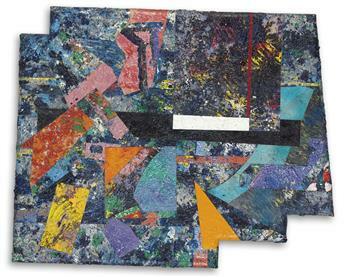 SAM GILLIAM (1933 - ) Blood Legacy. 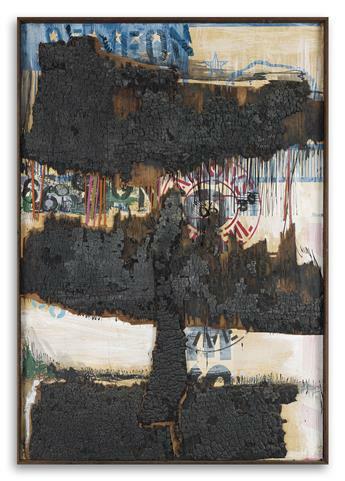 NOAH PURIFOY (1917 - 2004) Untitled (66 Signs of Neon). 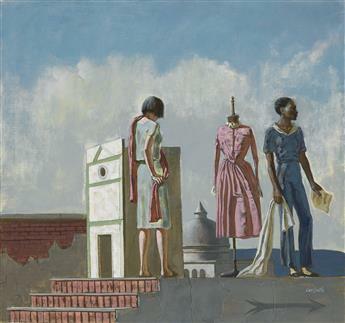 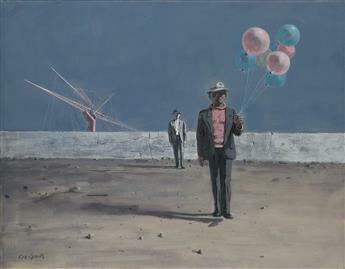 HUGHIE LEE-SMITH (1915 - 1999) End of Act One. 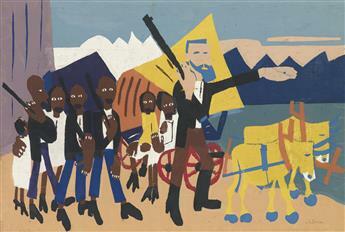 WILLIAM H. JOHNSON (1901 -1970) On a John Brown Flight.